In May 1919, scientists set out for Sobral, Brazil, and Príncipe, an island off the west coast of Africa, to photograph the momentarily starry sky during a total eclipse. Their scientific aim was to test whether the sun’s gravity would indeed bend light rays from faraway stars, as predicted by Einstein’s theory of general relativity. After analyzing the data from the brief minutes of darkness, they declared Einstein correct. Carlo Rovelli, physicist and author, tells Ira the story, and how this eclipse forever changed physics and our understanding of the universe. Carlo Rovelli is the author of The Order of Time (Riverhead Books, 2018). He’s at Aix-Marseilles University in Marseilles, France. Albert Einstein, of course, is a household name today. But he wasn’t always. Way back 100 years ago, he was in his mid 30s, he created his general theory of relativity. But that theory needed to be tested before anyone would really take it seriously. So in 1919, soon after the dust settled from the First World War, two scientific teams set out to take advantage of a unique astronomical phenomenon, a total solar eclipse, to put Einstein’s theory to the test. And for the rest of the hour, we are going to be talking about another eclipse, the great American eclipse this year on August 21st. If you still need details on how to safely view it, stay with us, we’ll fill in the blanks in a few minutes. But first, let’s take a trip back to yesteryear to 1919 that most epic of eclipse experiments. And our guide is Carlo Rovelli. He’s the author of Reality is Not What it Seems, and Seven Brief Lessons on Physics. He’s a theoretical physicist at Aix-Marseille University in France. He joins us from Skype. Welcome back, Carlo. CARLO ROVELLI: Hi. Welcome. Thank you very much. IRA FLATOW: You’re always welcome to join us. Please set the scene for us in terms of what Einstein was thinking about at that time back then. CARLO ROVELLI: You used the word epic I think it’s very appropriate here. It’s one of the great stories of science, I think, these eclipses and the proof that Einstein was right in this prediction. Einstein was coming out from 10 years of major struggle, intellectual struggle, in which he was working mostly alone to build what we call today the theory of general relativity. Basically our current understanding of space and time. And that he– it was an immense struggle for him. 10 years earlier, he realized that some major step ahead was needed. And he and a few friends worked very hard with very little ground. So it was mostly a purely intellectual adventure. He came out in 1915 with his beautiful theory. But of course, this is science, you don’t believe a theory even if it is incredibly beautiful, unless that you can prove it right. And the eclipse of 1919 was the moment in which, I would say spectacularly beautifully, it was proven right. IRA FLATOW: He actually proposed this experiment to look at the position of the stars during an eclipse and see if they had a different position during the night, I mean, the stars came out during the day. And he predicted that their path would be bent, the light from them, and they would appear in a different place in the sky, right? CARLO ROVELLI: Right. He had this idea pretty early when he was beginning to work on his theory already in 1911. So 10 years earlier, almost at the beginning of his work on gravity. He had the idea that somehow light could be bent instead of moving straight, light could be attracted. Because that was his thinking, space gets curved by a star. And time is slowing down near the star. And so that two actual two, actually, two phenomena that make the light bend. And at the very beginning, he had only one of the two in mind, that there is a slowing of time. So because of this slowing time, he was thinking that light slows near the star, and that because of that, it bends, a little bit like when we put a stick into the water we see it bent because light goes a different speed in the water than in air. So there was this bending. He computed this bending. Unfortunately, nobody tested his first prediction because it was wrong. So the 1911 prediction by Einstein was wrong. And later, he developed the theory. The theory. came in its full glory in 1915. This is during the war, during the big war in Europe. And he realized that there’s these two phenomena. . So because of that, the effect is actually double that what he computed first. And in 1915, he came out with his definite prediction. He said, if my theory is right, you look at the stars when the sun is nearby, about. And of course, the eclipse is only needed for taking away the glow of the sun. When the sun is up, you don’t see the stars. But during an eclipse, we do see the stars. So in the moment in which there is an eclipse with a star, we can look at the stars near, just very, very near to the sun. And that was the prediction, we should find them not in the right position, moved, moved a little bit away from the sun. It was quite spectacular the prediction, because this is something that was never observed before. And it was coming out from a very long series of deductions on the nature of space, on the nature of time, sort of a 10-year struggle by this solitary– I mean, if there is a moment which we can use the word genius it’s this one. IRA FLATOW: And there were various expeditions when Einstein made that prediction back in 1911. There was an expedition that went out in 1914, got caught just as the war, World War I, was breaking out, the expedition was arrested. IRA FLATOW: Right? And as you say, it’s lucky that they didn’t. They were not successful because he had a mistake in his theory. And by 1919, he had corrected that mistake. And then another expedition went out, right? CARLO ROVELLI: Right. So it was lucky that the first one did not get to the end. In a sense, I mean, he didn’t have the theory complete, it was just trying to guess what the theory would give. Still having a preliminary version of it. And of course, if the measurement would have been different, he would have thought, well, there’s something wrong with that. CARLO ROVELLI: –would move. And it worked. IRA FLATOW: He is also fortunate that in that famous 1919 expedition, he had probably, what? The best astronomer in the world working for him, Sir Arthur Eddington, who went out to do the experiment. CARLO ROVELLI: Also, Eddington was a British astronomer, certainly spectacularly good experimentalist. But also a very good theoretician. And very rapidly he understood general relativity very well. It’s not an easy theory. It took some time to many great minds to digest it. He understood it, he appreciated it, he got convinced that the theory could be right. It’s a beautiful story because we should remember that was just at the end of the big first European war, which was a massacre, was a tragedy with an immense killing in Europe. The Europeans killed one another, I mean, of course they would repeat it several years later in the Second World War. But that was a moment in which there was a hope that the war is over and there’s peace and we live together. And this is the accomplishment of a German theoretician and a British experimentor of the opposite side of the big war, after years in which there was hate and violence and fury and despising one another. And now, these two men on both sides are collaborating intellectually and understanding one another, could together accomplish this major step ahead in science. It’s a beautiful story. The two men were both, and I don’t think this is irrelevant, were both opposite to the war. Arthur Eddington in England was a consciousness objector. He did not want to join the army and this created problems for him. And in Germany in Berlin, Einstein had filed a manifesto against the war, again, creating not small problems for him. But I think that’s the way it works. Great minds stay away from this human folly of the war, and were thinking higher. And they could understand one another and from a distance, because they didn’t meet before. They could collaborate and the world was shocked by the results. It was an immense success. Very rapidly the scientific community realized that it was a very strong element in favor of the theory. So Einstein became celebrated as a scientific hero. And it was a moment in which, I think, Europe, America were thinking, maybe we’ll think about science and knowledge and beautiful things now and not about war. It didn’t last long. IRA FLATOW: It made Einstein an overnight– he made like a rock star of his time. IRA FLATOW: It was all over the world, the news of it, it was splashed in newspapers. CARLO ROVELLI: All over the world. There are famous clips from the Times, of the London Times, I also looked at the Italian newspapers at the time in 1919. And it was immediately presented the experiment’s result. People were shocked because there’s this title, starts are not at their place, space and time are not what we thought they were. The message that science is making a big revolution was out there, and that was well received by everybody in 1919. IRA FLATOW: And one thing a lot of the articles of the day seemed to mention was that this experiment also proved that space could have limits, that it could be a finite volume– if it’s bending around itself, then maybe it could bend all the way around. CARLO ROVELLI: Yes. That’s something that came out more or less at the same time because Einstein was immediately trying to use his own theory to understand what could be the shape of the universe as a whole. And had this fantastic idea precisely in that moment that the universe could be– that there’s a possibility the universe is not infinite, it’s finite because it bends on itself. So if we could travel in a direction forever, we would come back here, having made the tool of the universe. Extremely beautiful idea that somehow closes infinity. We still don’t know that one if it’s right or wrong. I personally think it’s right, but I don’t know. This is my guess. It’s one of the open questions. You know, science is not about closing questions, it’s about opening questions and opening possibilities. And the possibility of a finite universe it’s very interesting, I think. It’s very intriguing. IRA FLATOW: Yeah. It’s a great open topic. Let’s go to the phones. Just go to Savannah, Georgia. One of my favorite cities. Omar. Hi. Welcome to Science Friday. OMAR: Thank you for taking my call. I hope I’m posing this question correctly. But are the observations, as they pertain to general relativity, the same, and the experience, so to speak the same around a large gravity well versus a smaller gravity well, versus– like the sun versus the moon, something like that. I hope I posed that correctly. IRA FLATOW: Yeah. I think you got it. Let’s get Carlo. Thank you. CARLO ROVELLI: Yes. Gravity, the effect can be smaller or stronger or weaker, depending on the mass. But it’s exactly the same phenomenon. When they got very strong, we got a black hole. 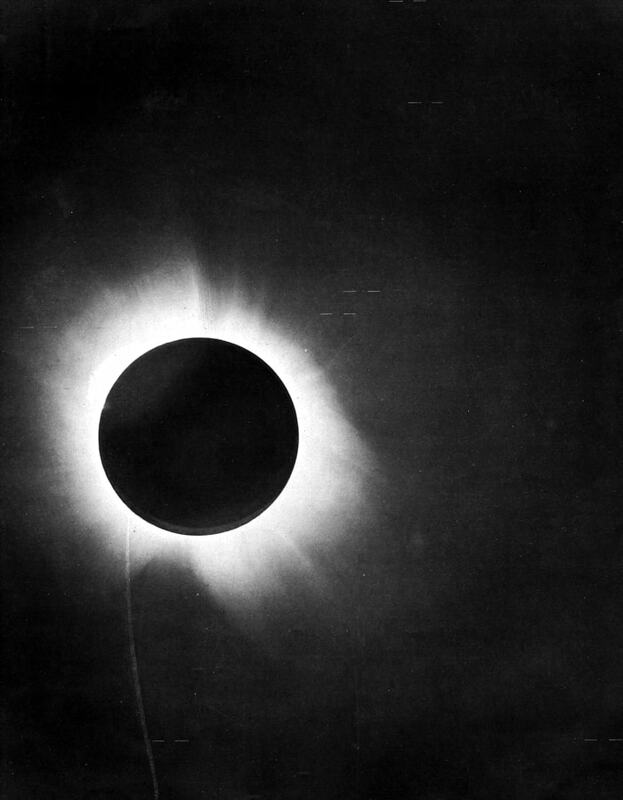 And– let me put it this way, 1919 eclipse, Eddington’s observation was the first spectacular continuation of Einstein’s theory. Since then we have had a series of them, a lot. The expanding universe. CARLO ROVELLI: The existence of black holes. And a couple of years ago, the gravitational waves produced by black holes. It’s the same phenomenon, the same gravity, described by the same accretion, but it’s a variety of different consequences. All predicted by the theory and in the century, one after the other one, all verified. In the beginning they all seemed crazy, and they turned out to be correct. IRA FLATOW: Let me remind everybody that this is Science Friday from PRI, Public Radio International. I’m Ira Flatow talking with Carlo Rovelli. One last question for you. If this was such a dynamic and life-changing scientific event, and the whole theory, both theories of relativity, why is it that Einstein never won the Nobel Prize for these? He won it for something he did earlier. How did this escape? CARLO ROVELLI: Well, he won the Nobel Prize for the photoelectric effect, which has nothing to do with all that. It’s something else. Seen from the eyes of today, Einstein could have deserved maybe four or five different Nobel prizes. Certainly the one for the photoelectric effect he got. But also space relativity and also general relativity. These theories were very complex. And in spite of the spectacular prediction of 1919, the theory is a large complicated theory. It took a long time before the entire community actually took it for established physics. Now, it is so. And the Nobel Committee, I would say correctly so, it’s very cautious. In a sense, it’s not sufficient to explain something and to get one petition right. It wants to see the full theory works. So it waited. I think Nobel Prizes cannot be done to somebody after the person is dead. I think now there will be no doubt Einstein would deserve several Nobel Prizes. IRA FLATOW: Well, Carlo, you deserve a prize for your books. They are so great to read. Carlo Rovelli, author of Reality is Not What it Seems and Seven Brief Lessons in Physics. Dr. Rovelli is a theoretical physicist at the Aix-Marseille University in France. Always great to have you, Carlo. Thank you for staying up late. CARLO ROVELLI: Thank you. A pleasure to talk to you. Thank you very much. Bye bye. IRA FLATOW: You are very, very welcome.